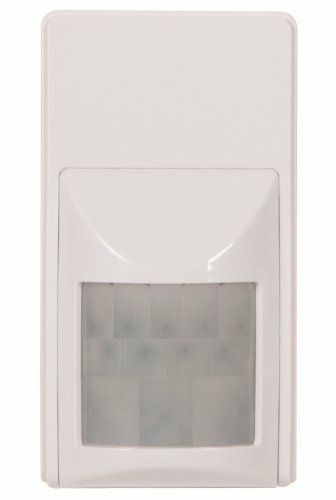 Safety Technology International, Inc. - STI-WS103 Burglar Stopper PIR Motion Sensor. This PIR motion sensor will alert you whenever movement is detected in a property. Ideal for a wide range of areas including: rooms, hallways, stairwells, sheds, front, and back doors. Install sensor to monitor any area that provides direct access into your home. When used as an accessory to the STI Burglar Stopper Wire-Free Home Protection System (STI model WS100SG2 sold separately) this sensor ensures every aspect of your home is safe and secure. All-directional mounting bracket provides 120 degree wide-angle detection. Features a 3-minute motion lockout after each detection to help preserve battery life. Features low battery warning, and requires one 9V alkaline battery (not included). Easy installation with install kit included. Sensors operating temperature: 14° to 113°F (-10° to 45°C). One year limited warranty. Safety Technology International, Inc. "We protect the things that protect you"